Christmas Pretzel Hugs (+ Video) - Dessert Now, Dinner Later! 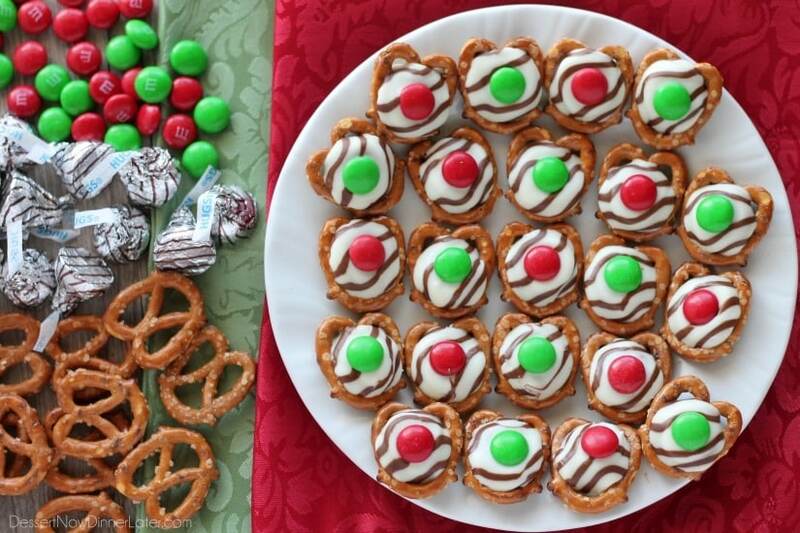 These festive Christmas Pretzel Hugs are melted just enough to press an M&M on the top. Let the chocolate set back up and then package them for neighbor gifts, or place them on a plate for the perfect salty-sweet treat! 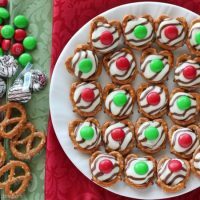 Looking for an easy and delicious salty-sweet Christmas treat?! Well, you’re in luck! 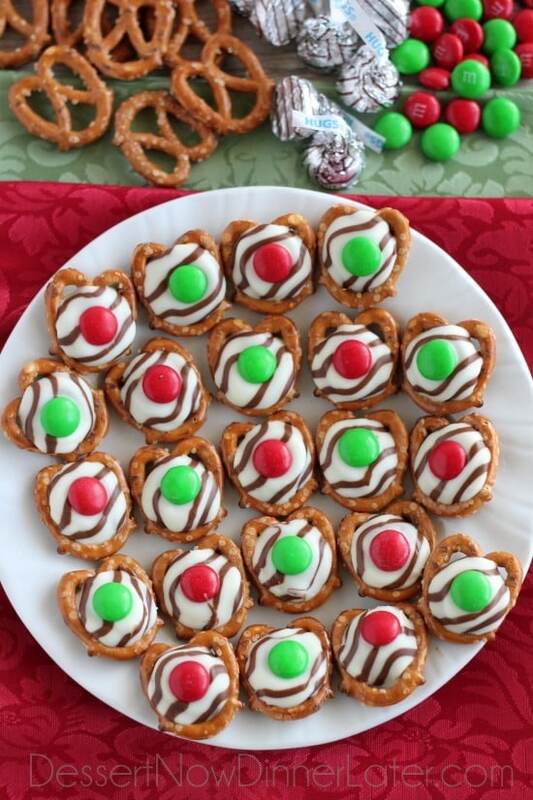 These Christmas Pretzel Hugs are totally easy and completely addicting! The best thing about these is that they are so easy, the kids can help and they’re cute enough to package up for neighbor gifts! All it takes is pretzels, hugs, and m&ms. Heat the pretzels and hugs for 5 minutes in the oven, and press the m&ms on top of the warm chocolates. I think these would work okay with the candy cane kisses as well, but don’t try the carmel filled kisses. We tried, and it was no bueno! They don’t melt the same. 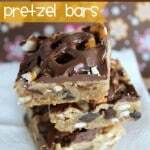 Anyway, you will want to make these to snack on for sure, so head to the store and grab what you need! Line a baking sheet with a silicone mat, parchment paper, or foil. 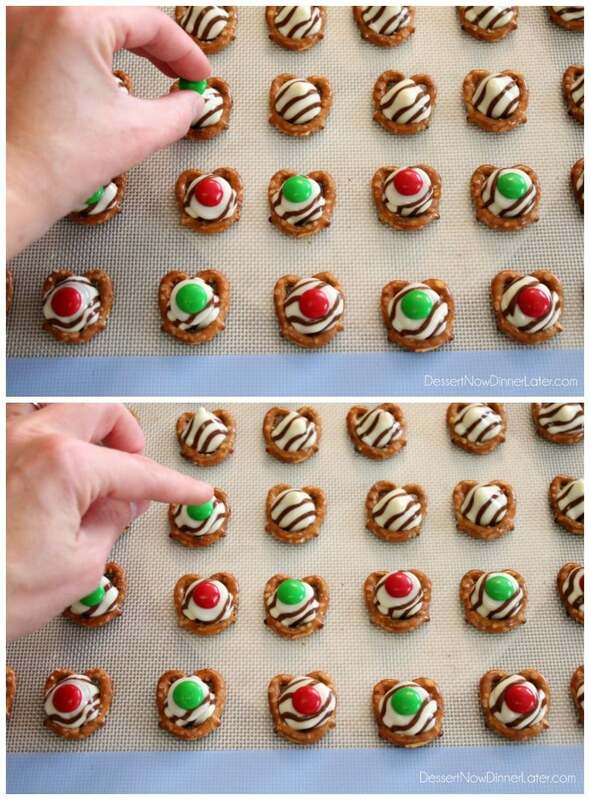 Place as many pretzels as you want on the prepared tray. Unwrap hugs and place one in the center of each pretzel. Bake at 200 degrees Fahrenheit for 4 to 5 minutes or until the chocolate is soft. Immediately press an M&M in the center of the melty hug. 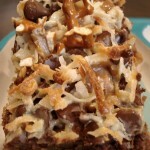 Allow chocolate to set back up in the fridge, freezer, or at room temperature. 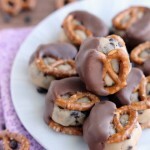 Once chocolate is set, store Pretzel Hugs in an air tight container or package for gifts. Oh my goodness, these are the cutest!!! I love how easy they are to make, my son would have a blast helping me! Perfect festive treats for the holidays! Oh yes! The kids have a blast helping to make these! These are seriously SO cute! And three ingredients you say?! I think I can get on board with that. 🙂 Pinned! I know right?! 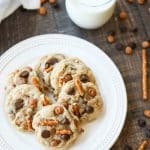 Easy, cute, and delicious! I’m dying over how cute these are! They are so fun, aren’t they? And kids love making them too! But they are super addicting, as are most bite-sized snacks! Cab these be stored in the freezer? I bet that would be just fine. What do u set your oven on? 200 degrees Fahrenheit. All of the instructions are in the recipe card. Enjoy! Where can I get the hugs chocolate kisses? They are from the Hershey’s brand. You can find them next to the Hershey’s Kisses in the candy aisle. I make these using the colored candy melts instead of kisses. You can make them year round with orange for halloween, green for St. Patrick’s day, red, white and blue for 4th of July, Easter colors for Easter and red and green candy melts for Christmas…so easy and so fun with kids! If I make them 3 days before a party will they get stale? These hold out pretty well, if you don’t eat them all first, haha. 3 days should be just fine. I would keep them in a zip-top bag or tight container. If you want, you can freeze them though. Shoot! I missed this comment. That’s so sad because a lot of people love to make these for the holidays! Maybe if enough of us complain they will switch back to the cocoa butter. OK…After some Googling I found out that Hershey’s did indeed change their formula! They took out the cocoa butter and replaced it with vegetable oil! ICK! No wonder the chocolate started sweating and browning rather than melting. Sad cause this was such an easy and yummy recipe to make for people. Now I’m going to have to find something else to make. Good thing these are not expensive so I don’t feel bad throwing them out. You used the Hershey’s hugs or kisses? A lot of people have been having issues with the chocolate kisses, but the hugs are still working fine for me. Rolos work well too. You can substitute chocolate melting wafers. Bummer that they changed their formula! Yup….I was using the kisses. Since we have no power until at least Sunday I was wondering if I could do them in the microwave?. I don’t know about doing them in the microwave but….if you have no power…how would the microwave work?